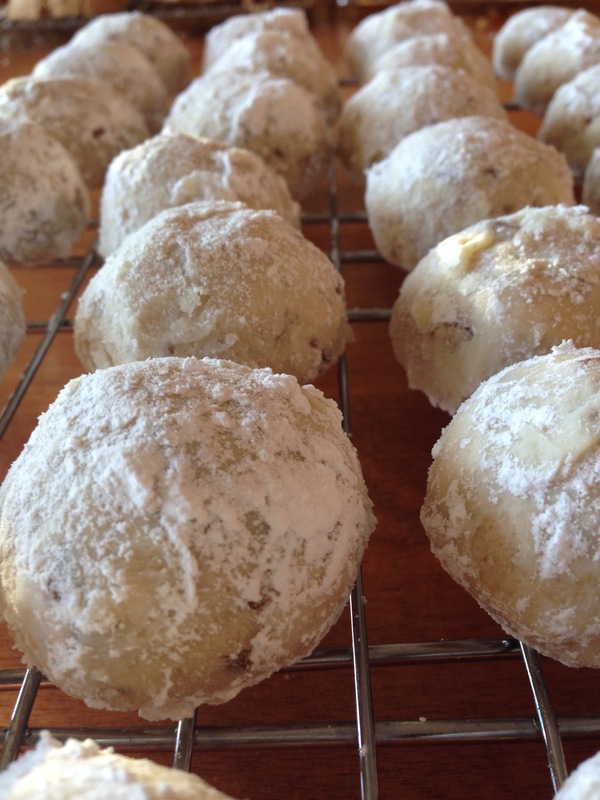 These cookies are a sort of ball-shaped, pecan flavoured shortbread. I like them best after they are a few days old. Mix the first 5 ingredients. 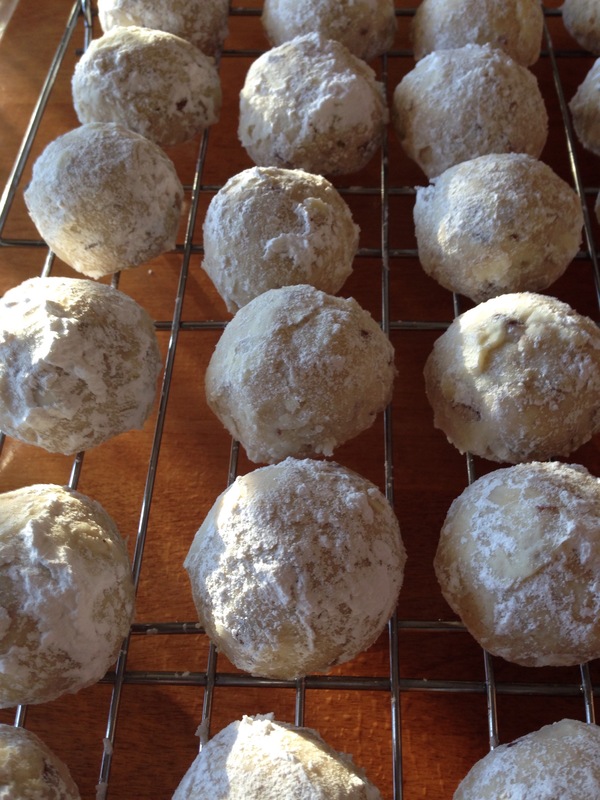 Roll into balls and bake for 25 minutes at 325 F. Roll in icing sugar while still warm, not hot.